The ANWR GROUP is one of the leading European trade cooperatives in the non-food sector. Approximately 6,000 independent companies use the services offered by the cooperative group. This includes professional location analyses that help the member companies with their expansion and orientation. The ANWR GROUP creates these location analyses with the web-based GIS WIGeoLocation. Expansion, reorientation and product range - this is what consultants from the ANWR GROUP talk about with their affiliates when advising them on questions concerning their business location. Location reports provide consultants with a basis for their advice. They generate these reports with the web-based software WIGeoLocation from WIGeoGIS. The reports provide detailed and concise information about the situation at the location - data on the mix of industries, competitors, age and household structure, foot traffic, inbound and outbound commuters, purchasing power, product range-related purchasing power and even more. Consultants utilize the tool across almost every brand and franchise concepts of the ANWR GROUP - above all for ANWR Schuh, QUICK SCHUH and SPORT 2000. On the one hand, it is about assessing the locations of the current retailers and asking where and how much potential for further development exists,” says Melanie Wirkner from SPORT 2000. The company consultant for the South West region continues: “Within the framework of these basic reports, I add individual details, provide estimates of the possible sales of competitors and assess whether the market still has sales potential.” Commercial landscapes are changing all the time, for example, when new shops or competitors open in the same area. 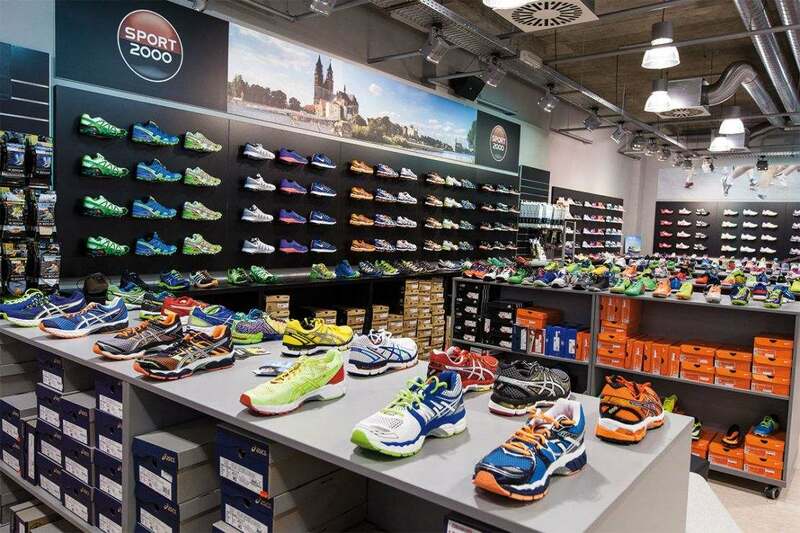 The reports help to reorient and, if necessary, find a new position together with the member company”, says Burkhart Spokesman, Area Manager North/West at QUICK SCHUH. A professional location report shows not only market players and competitors, but of course also socio-demographic data for the catchment area. “This allows us to see whether any target groups are being neglected and search for potentials for the location. For example, if an above-average number of 60-year-olds live in the area, we analyze what our member does for this group of people and what actions the competition is taking. If the competition is very strongly developed in the orthopedic shoe trade for example, this direction might not make sense for our member company either because the market is already saturated in this area or because it conveys the wrong picture to the customer,” explains the ANWR specialist consultant from ANWR Shoe, Armin Reimann. With their individual and location-specific advice, Reimann, Sprecher and Wirkner help the member companies to properly position themselves. Although WIGeoLocation can be used for a wide range of questions, the tool is easy and convenient to use. “In addition to wanting to receive detailed location reports, the focus for us was on a tool that is easy to use,” reports Hans-Peter Richter. He is the co-ordinator of WIGeoLocation and is responsible for operational analyses on the Board of Directors at ANWR GROUP. Richter adds: “I highly advise introducing a simple system and then expanding based on your expectations and needs. This promotes acceptance and use of the tool.” This approach has certainly worked for the ANWR GROUP. The number of WIGeoLocation queries has been consistently high since it was introduced. The ANWR GROUP is already expanding WIGeoLocation. “The location report will be supplemented by data on leather goods to reflect the needs of the GOLDKRONE, our community of retailers in the leather and accessories trade,” says Richter. Due to the wide acceptance of WIGeoLocation, the investment has also paid off from a financial perspective for the ANWR GROUP. Richter says: “If we had purchased all the location reports that we have needed since introducing WIGeoLocation at the standard market prices, the costs would have been much higher.” Not only the product, but also the consultation from WIGeoGIS helps the ANWR GROUP to save costs. “It is important for us as a customer that the service provider offers quality consultation without focusing on their own economic interests. From a customer viewpoint, WIGeoGIS provides good honest consultation. For example, WIGeoGIS made a different data source accessible that helps ease the budget for the ANWR GROUP,” explains Richter.